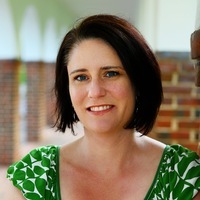 Mireille Lee is Assistant Professor with the Departments of History of Art and Classical Studies at Vanderbilt University, and holds her degrees from Bryn Mawr (Ph.D.) and Occidental College. Her research interests are Greek art and archaeology, in particular the construction of gender in ancient visual and material culture. She has published widely on the social functions of dress in ancient Greece, including her volume Body, Dress, and Identity in Ancient Greece (2015).